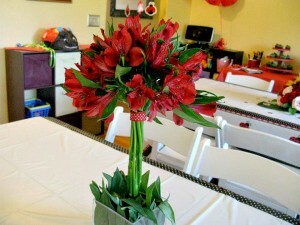 Home » Events » My little ladybug’s first birthday! 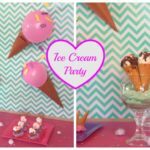 Hi party pals! 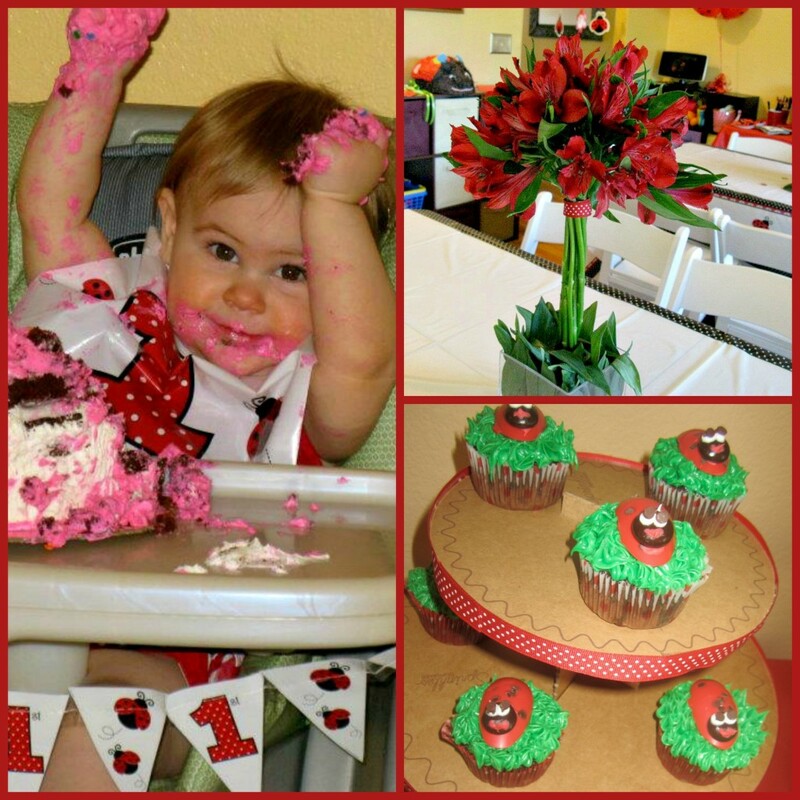 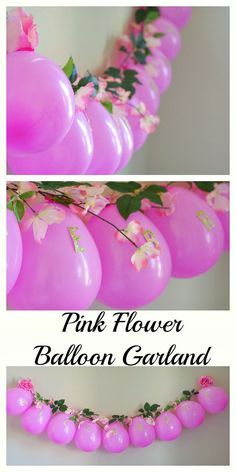 Recently I helped plan my niece’s first birthday party. 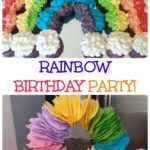 It made me realize how long it has been since my daughter turned one. 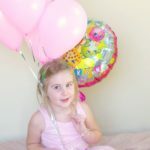 She is three now and it is crazy how time flies! 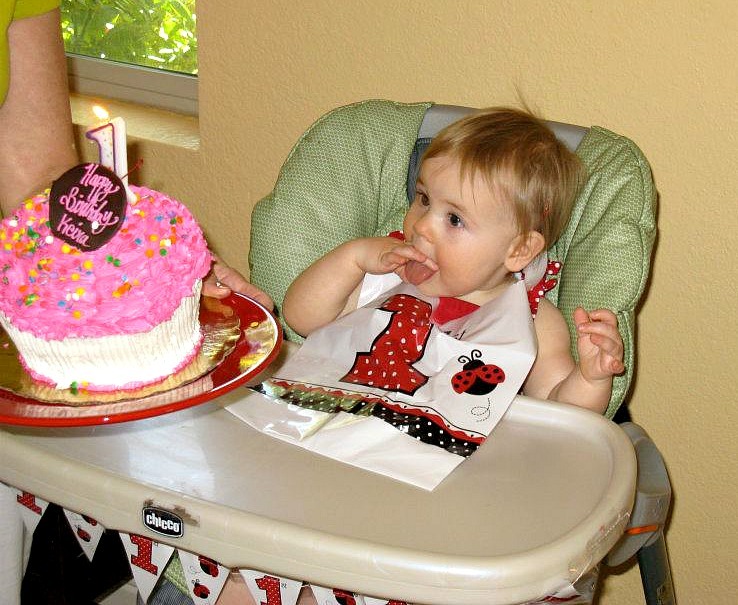 I felt a bit nostalgic and I had to go look at pictures of my daughter’s first birthday. 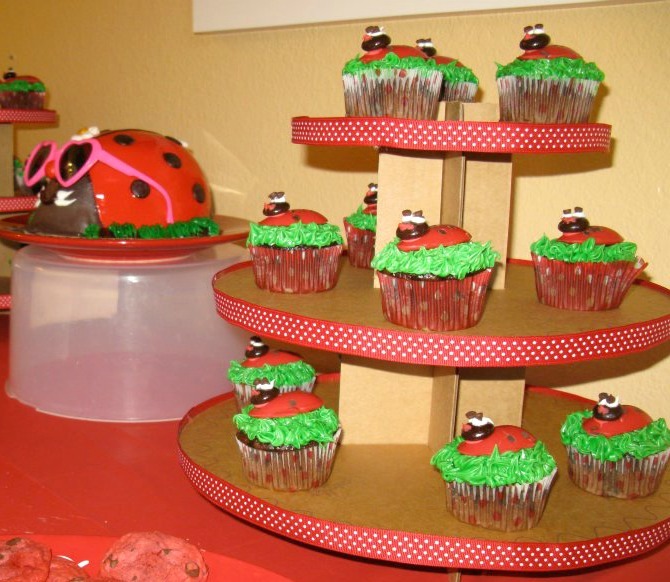 For her first birthday I picked out a ladybug theme, which worked out perfectly! I just love ladybugs, one of the only bugs that puts a smile on my face :). 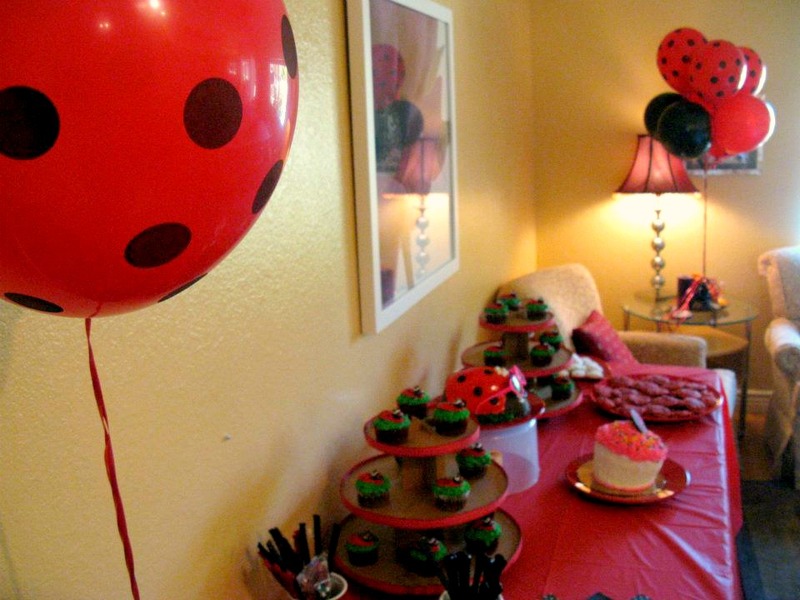 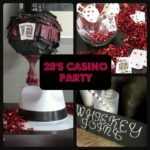 I knew the first birthday would probably be the only time I could pick out a theme for her party so I had to take advantage of it. 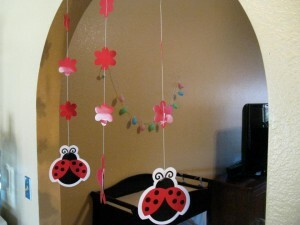 Now at three my daughter has her own ideas about what she is going to wear and what theme she wants for a party. 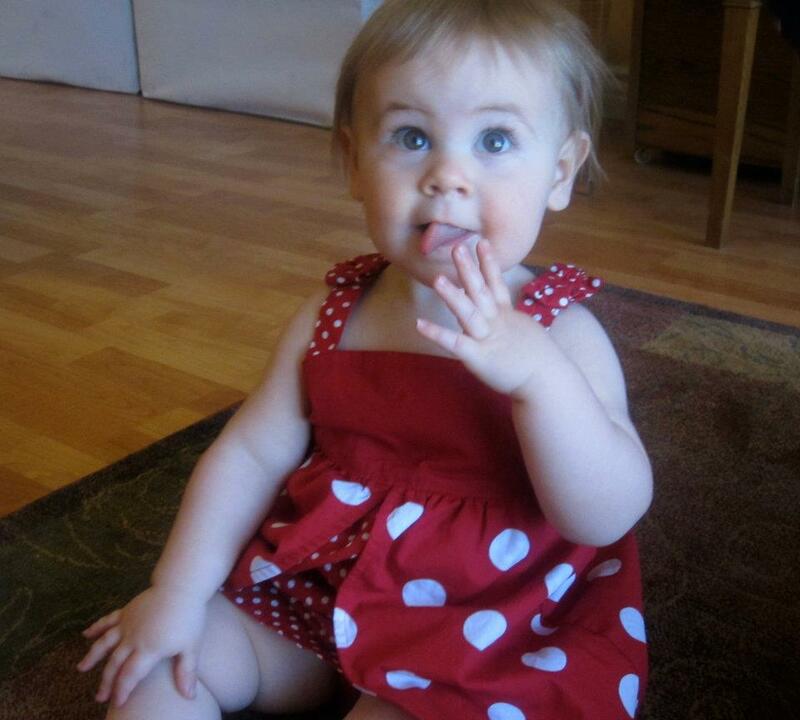 I love seeing my daughters personality come out more and more as she gets older. 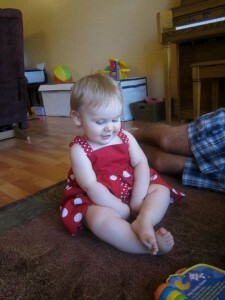 However, I sometimes miss that little snuggly 1 year old. Keira looked adorable in her little ladybug dress before it became covered in cake. 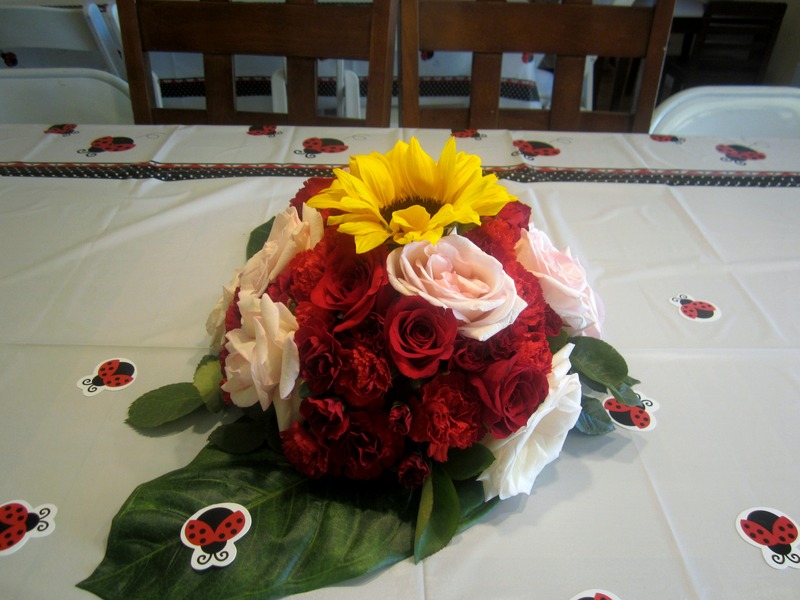 I made some easy floral centerpieces with floral foam, flowers from the grocery store and our garden. 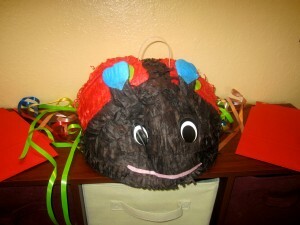 The ladybug piñata was too cute! 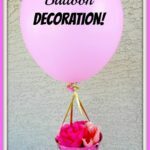 I found decorations on Amazon, online shopping is the best, especially for busy moms! 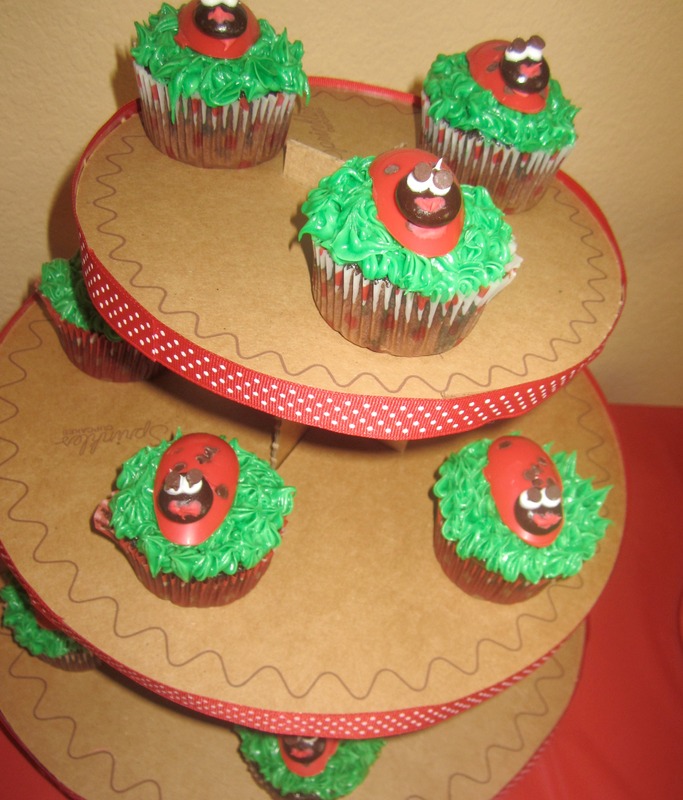 The cupcakes I made from the Hello, Cupcakes book with just a few changes made. 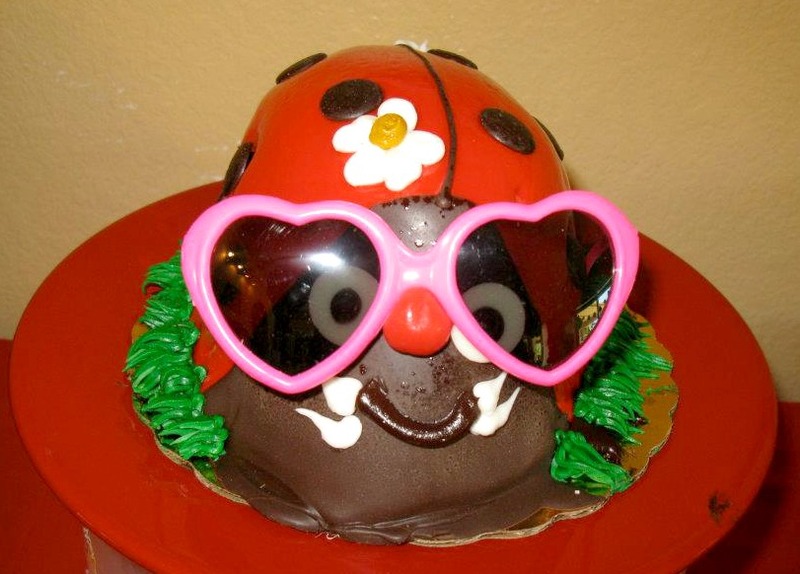 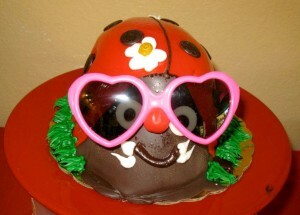 The adorable ladybug cake I wish I could take credit for but it was bought from Chompie’s Deli in Scottsdale, AZ. 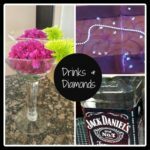 The sunglasses are a nice touch for summer parties! She loved the smash cake, it took a few seconds for her to smash the whole thing. 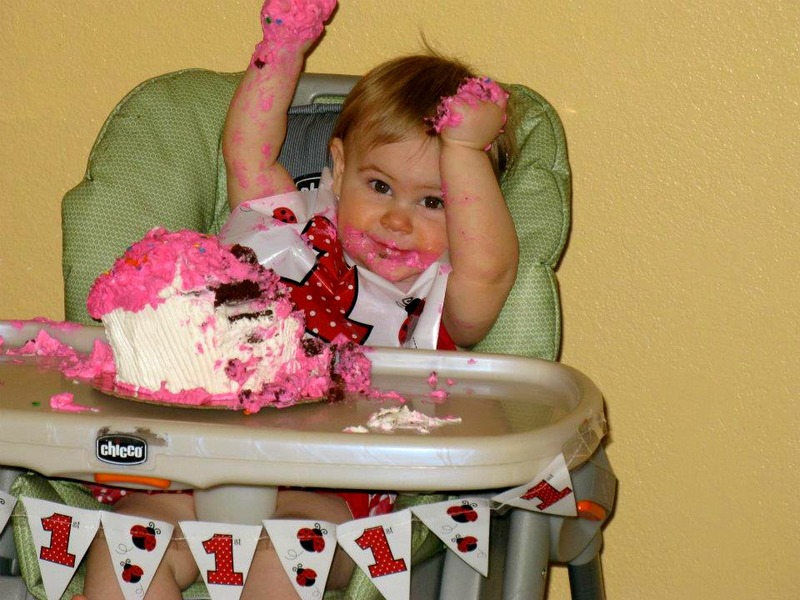 She had cake everywhere her face, hair and the dress! Part of the fun is to make a huge mess but it might have been a good idea to take off the pretty dress first. Overall we all had a great time celebrating Keira’s first birthday!